World Wrestling Entertainment’s (WWE) Universal champion Brock Lesnar has been on and off from events despite being a title holder. 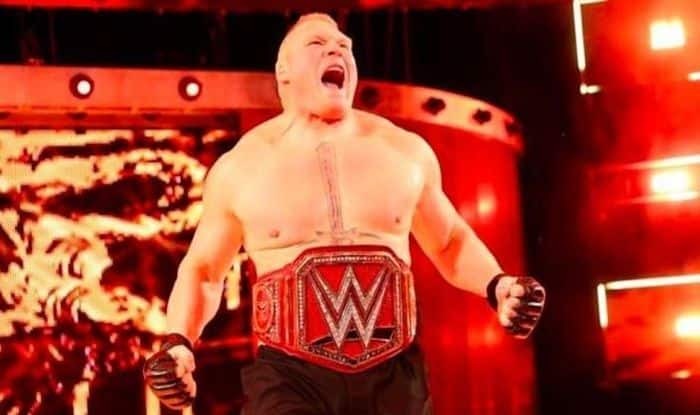 According to several reports, Lesnar may not be involved in the upcoming Wrestle Mania event and that the company has thus refrained from using his name in the promotions. According to Mike Johnson on PW Inside Elite, Lesnar has not been used to advertise Wrestlemania 35 so far, which further increases the chances of him not taking part in the event. “I wonder if Brock’s gonna be with them past the Rumble because you know everyone figured Brock was out the door. Is he even factored into their WrestleMania plans? We haven’t seen him advertised or even footage of him being used to promote WrestleMania 35. So I wonder if he’s out the door at the Rumble, but I guess that’s the allure of Brock is that, ‘Is this the end of Brock’s run?’ and it turns out not to be,” Johnson said. The wrestler is finally set for a return to Monday Night RAW right ahead of pay-per-view event Royal Rumble. Lesnar has been often criticised for not being present on the RAW shows despite being the Universal champion. As the Royal Rumble event approaches, Lesnar will finally make a return on January 21st in Oklahoma City. Ahead of Lesnar’s return, his assistant Paul Heyman will be on the WWE RAW event and on behalf of Lesnar address the fans and also Braun Strowman. The encounter will be an anticipated one among the fans and never fails to deliver when the two dominant giants of the WWE clash for the coveted universal title.